The Stone-Campbell Movement, of which the Disciples of Christ (my home tradition) has a lot of great slogans, such as "We're Christians Only, Not the only Christians" and "No Book but the Bible, No Creed but Christ." There is another slogan that goes like this: "We don't have bishops, we have editors." That adage emerged early on because we were in our origins a rather loosely knit group with no official structure. We did, however, have influential leaders, who while not having official titles had journals that they edited. 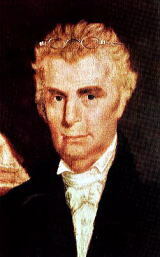 Alexander Campbell had two such journals, the Christian Baptist and later the Millennial Harbinger. Barton Stone edited the Christian Messenger and Walter Scott The Evangelist. Later on other journals would emerge, some of which became official or semi-official organs of different parts of the movement. These included J.H. Garrison's Christian-Evangelist, which was the precursor to the Disciple, the last official Disciples journal, and Isaac Errett's Christian Standard, which still exists and is a primary magazine of what is called the Christian Churches/Churches of Christ. A number of journals emerged that were edited by more conservative elements in the movement, which gave birth to the Churches of Christ -- journals edited by Benjamin Franklin, Moses Lard, and others. The Disciples of Christ today have equivalents to bishops -- a General Minister (Rev. Sharon Watkins) and Regional Ministers, but we no longer have an official magazine. In fact, we've been without one for sometime, but Disciples World, a separately funded and run journal existed for several years but finally stopped publication. That reality has led many of us in Disciples circles to wonder out loud about what should take its place. There doesn't seem to be any money or support for reestablishing a print magazine, whether official or unofficial. Most of the options available are electronic and all lack official sanction. There is, for instance a number of blogs that are designed for Disciples. These include [D]mergent, to which I've become a contributing writer. There are blogs like mine or that belonging to Keith Watkins' that are written by Disciples, but which have a broader focus. There are Facebook groups and fan pages, and there is The Intersection, which is part of the Ning Network. That network was launched as an adjunct to Disciples World and is the sole remaining part of that effort. It is, however, in an uncertain place, for there is concern for costs and oversight. So, maybe we are entering into a world of many editors, none of whom have official titles or support or recognition, but who speak from within (but never for) the movement. The question is this -- how do we stay connected? How do we communicate with a sense of common purpose? We value unity and speak of ourselves as a "Movement of Wholeness in a Fragmented World" (more about this later). But if we don't have an official "organ" and there is a multitude of voices, how do we speak to the world and each other? I'd like to open a conversation, and if you are a blogger and are part of the Disciples of Christ tradition, then give a description and leave your URL! Let's see who our modern editors are! These have been good groups. In the nascent stages. Yet, God has spoken through the many contributors to these. I think you are correct. This is an exciting time to be alive. It is an exciting time to be a Disciple. I enjoy reading your stuff. I hope to help share it with others. I had a couple of blogs over a year ago. Right now, I'm putting my energy into something else, but I want to help facilitate conversation. If I get a new blog rolling again, I'll be sure to let you know. Mostly, I support the new editors. I especially appreciate how you are bringing the ideas of recent scholarship to readers who may not have opportunities to learn about it otherwise. Bob-- Great post. I have to break this comment into two parts because it’s too long. Evidently you can write comments, but not epistles. Darn! I think you've hit on a very perceptive theme that we Disciples are reliving two centuries after the birth of our movement. I have lots and lots of questions, but those can be spread out over any number of blog posts. Right now the image that comes to mind for me is if there is such a thing as Disciples' DNA, the double helix is working hard just to keep itself strung together, connected, through the (I've just got to use the biochemical term here!) nucleotides with "weak" bonds and some missing up and down the genetic strand. Imagine a spiral staircase with half a step or a section of banister missing every few feet; it’s not a very stable structure. But one thing we’ve begun to recover is how to write. I was thinking as we've been trying to find a way to keep The Intersection up and running, just how do we survive without that denominational magazine/journal that has seemed so essential? And now I'm thinking, maybe it isn't. Not essential in the way we've thought about it for two hundred years. Maybe its essentiality has morphed the way the digital age seems to morph so many aspects of what we once thought was indispensable to our daily lives. Connectivity is no longer dependent on paper and ink. Either from the ink of the author or the ink of the publisher. 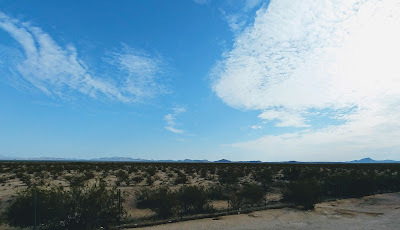 Connectivity is my sitting here "writing" with electrons and viewing what that is through a process of electromagnetic processes and photons traveling from an electrically charged screen to my retinas. Cognitively, I know what I am doing is different than how I was taught to write with a pen or pencil. But the occipital lobe of my brain is completely fooled and I can "read" the photons pouring from the screen with the same ease as I could read those same words written in ink upon a piece of paper. This revolution is what has been removed. I hope this makes sense: We are more connected than in any time in history because we no longer need the physical connections of paper, ink, even wire, to provide that tangible bond. My computer is not tethered to the Wi-Fi router two rooms away by anything other than radio waves. When I finish this post and click (using a virtual pointer finger) on the "Add Reply" "button" this message in a few nanoseconds at most will move along the radio waves from my computer's transmitter to the antenna of my router, and then along phone lines (many of which may be fiber-optic using photons rather than metal using electrons) and in probably well under five seconds any person logged in to The Intersection, anywhere in the world, will be able to have the photons I "wrote" hit their retinas and their brains will read it as if I had been sitting in the room with them writing with ink and paper, and just handed it to them. I don't even need the phone lines if I wanted to pay for a satellite uplink. I could send my message thousands of miles into space (which it may do anyway depending how it is sent around the world to the NING computer that creates The Intersection), where it could be sent back to earth to another person's satellite dish and my nicely organized and coded electrons would appear just like that. We are connected by nothing physical in the classical sense of the word. Nevertheless we are connected in the quantum sense of the word. The problem is we don't really know how to talk about this kind of connectedness because even though it is as physically real as ink and paper, it is extra-perceptual. Our senses, so tuned to rely exclusively on the classical perception of physical reality, have no way to perceive or interpret those things that happen above and below the threshold of those senses without the aid of a machine that can perceive and convert that energy into a form we can. This confounds us, even though its influence has been integrated into virtually every aspect of our lives. We call it virtual reality, but that is a misnomer. There is nothing virtual about it, because it does not virtually represent something that is artificial or a replacement for that which is real. It is real. The photons hitting the retina of your eyes reading this post (assuming someone does) are real. They are just too small and move too fast to perceive as individual units of light (there's also that wave-particle thing, but we'll ignore it for the moment). And most of the real things in the universe end up being in that quantum reality. Including the atoms that make up all the big things we can perceive, from ourselves to galaxies. What possibly the Disciples need to realize and work on, as a denomination, is the theological equivalent of quantum reality. It is pure connectivity even if it is beyond the threshold of perception. Granted, we have no theological language that will help us achieve this new form of bonding, but we've been in this situation before. Maybe the title of Bob's post could be modified to Bloggers Not Bishops. Except I have learned that a good editor is a most precious resource for any writer, so I don't want to get rid of the editors, or should I say, the Editors. On the other hand we may have had the theological language all along to understand the connectivity of the Church as quantum reality. The Church began when Jesus, the Risen Christ, ascended beyond our physical perception, but remained among us as the Holy Spirit. Isn't the Paraclete the quantum reality of the Risen Savior that has bonded the Church together for two millennia? If that is true, then what prevents us from becoming more strongly connected than ever as we enter our third century as Disciples of Christ? Thanks Doug, Brian, and David for adding your thoughts and contributions to the conversation. My greatest concern is that our message not get so fragmented that we don't know where to go to get reliable information or that we don't know our neighbors (so to speak). My sense is that a number of actors will step into the void to speak and edit. What I pray for is that this will be done with great respect for others and for the tradition. I put my face among the two founders as a way of saying that I am part of the conversation and that I hope to be a facilitator/editor of the conversation. I mentioned this book on The Intersection, but I also want to add it to this discussion: Clay Shirky's "Cognitive Surplus". Next time you're in the bookstore, pick up a copy and just read the first few pages. Shirky offers the most accessible-yet-intelligent analysis of the major shift in media and communication that I've seen in a while. Not only are we more connected, but the number of us who have the tools not only to consume media, but to create and share it (i.e. most mobile phones). It's a radical democratization and its impact is being widely felt. Rebecca, thanks for the tip. On the media situation, we're not the only ones effected. There has been a lot of conversation about the demise of the local paper and how that has affected the current political scene, such as in South Carolina where a total unknown with a criminal background gets nominated for the Senate race. No one's minding the store.